Pivotal and Lineal, What’s The Difference? You can change the total distance your feet move up and down (other terms include ‘displacement’and ‘peak-to-peak amplitude’) by moving them either closer or further away from the centre. The maximum possible distance varies from one machine to another but most are generally close to 10mm. The side to side alternating movement allows greater transmission of vibration energy at higher amplitudes. 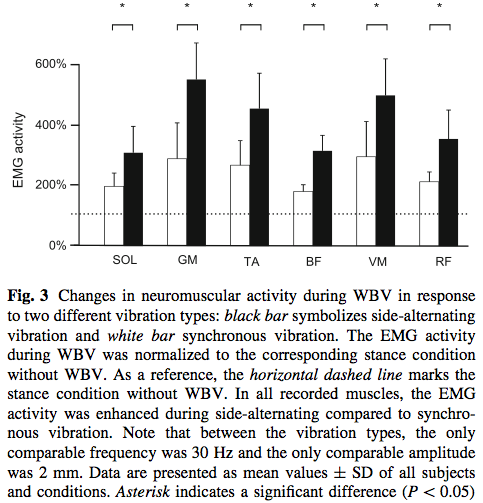 In other words – it generates more muscle stimulation when compared to a Lineal platform operating at the same frequency. A Lineal vibration platform remains horizontal at all times with the entire platform moving up and down by the same amount. Lineal vibration platforms typically have small peak-to-peak Amplitudes of 2mm or less. Some have multiple amplitude settings eg. low (1mm) or high (2mm). 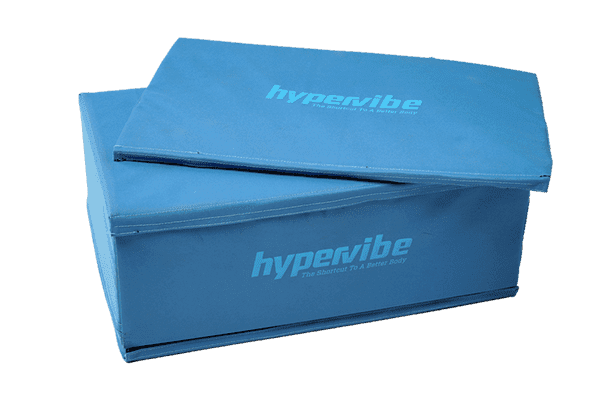 Lineal platforms have mechanical limitations that prevent them delivering the same natural pelvic movement or intensity of stimulation that is possible with a Pivotal platform. To compensate for the limited amplitude possible with Lineal machines the frequency can be increased but there is also a limit to how high you can take the frequency before it becomes ineffective. 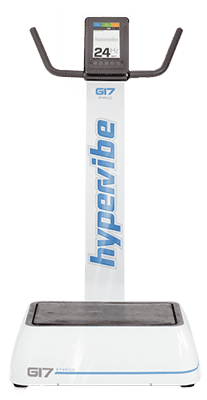 Whole Body Vibration researchers in Finland tested vibration frequencies from 10 to 90Hz and showed that with Lineal Whole Body Vibration, when the frequency goes past 40Hz the amount of vibration energy transferred to the body decreases by a factor of between 10 and 1,000 depending on the frequency and the body part being tested. If the frequency is too high with a Lineal platform the body may not have an opportunity to drop down before the platform rises up again – it would be as if the body was hovering in the air, no longer moving up and down the full distance that the platform moves up and down. Less body movement means less muscle stretching which means less muscle activity. When you consider that Lineal machines have a small amplitude to begin with, it would not take much to reduce the muscle activity to zero if the platform was moving too fast to allow a full up and down movement of the body. This is supported by anecdotal reports that “the muscle stimulation suddenly stopped” when the frequency approaches 50Hz and is something you can easily test for yourself. In fact some Lineal manufacturers have decided to stop making machines that are capable of vibrating at 50Hz stating that “the body doesn’t respond to frequencies that fast.” Try it and see for yourself. themselves as a new vibration type called “spiral” vibration. Often “spiral” machines are sold as 2 or 3 mode machines, producing spiral vibration, pivotal vibration, and a combination of these vibration types together. 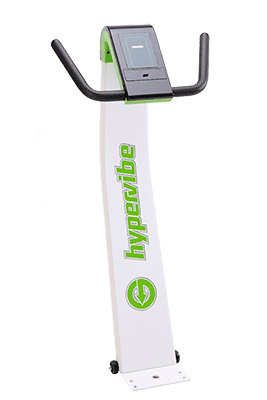 In reality however, these machines do not work on the principles of Whole Body Vibration, which is to produce vibration mainly in the vertical direction to increase the supply of gravity to the body. Instead, “spiral” machines produce vibration which is mainly horizontal in characteristics and is not supported by any Whole Body Vibration research. There have been few occasions where a Lineal and Pivotal machine were compared in the same study using the same settings. 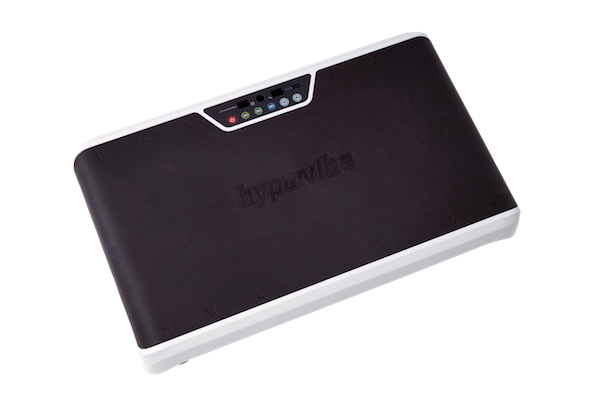 In each case however the results appear to be the same – Pivotal produces greater muscle activation and less head vibration. 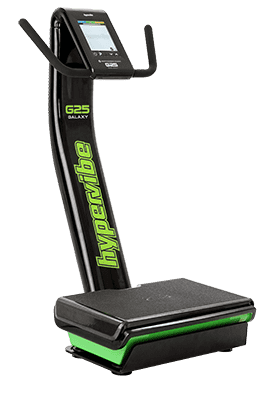 In 2012 at the Institute of Sport and Science in Germany, researchers again took a Power Plate (Lineal) and Galileo (Pivotal) and measured a number of different muscles for their response to the same vibration frequency and amplitude on both machines.